UtiZac is a complete Women tonic used in various problems related to Women. UtiZac is useful in Leukorrhea, swet parderhar, rakat, atiaartava, painful mensis, irregular mensis. UtiZac is composed of herbs that have strong effect as a uterine tonic. Quality herbs are used in the preparation of Uterine tonic. 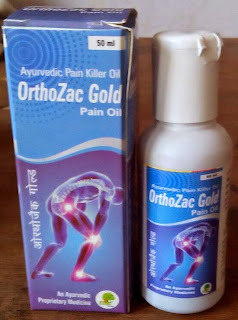 UtiZac gives patient best result with quick action. 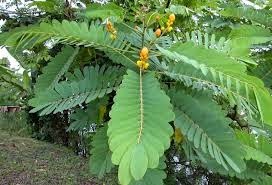 Ashoka (Saraca Indica): Ashoka contains about 6% tannin, haematoxylin, ketosterol, saponin and organic calcium and iron compounds. It is used as uterine tonic and sedative. It stimulates the uterus by the prolonged and frequent uterine contractions. It is suggested in all cases of uterine bleeding and menorrhagia. It is reported to have a stimulant effect on the endometrium and ovarian tissue. Bala (Sida Cordifolia): Sida Cordifolia is act as good uterine tonic. 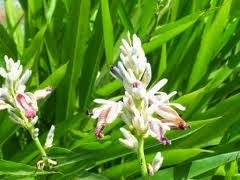 It is used in mainly all herbal preparations meant for female infertility as a main herb used due to its uterine effect. It is also well known for shukrala property. It increase shukra dhatu, hence this herb is used in both male and female infertility. Diuretic property of this herb helps in cystitis and it rejuvenates urinary system. Other properties of Bala are anti-inflammatory, control mobility of intestine, used in Irritable bowel syndrome, cardiac tonic etc. Dasmool: Dasmool is combination of 10 herbs that are pacified to Vata Dosha. Dasmool has calming effect at the nerves and help in relieving stress. It is especially beneficial for Uterus and Lungs. It relax mind and help to maintain hormonal balance. It is also have good hypertension property. It is good analgesic property. Dasmool is used in the treatment of almost all the systems of body mainly Respiratory, Gasto-Intestine, Genito Urinary and CNS. It is considered as immunomodulator, general restorative tonic and geriatrics. Dasmool is main ingredient of Ayurvedic Preparation “DASHMOOLARISTHA”. Chandan Red (Pterocarpus Santalinus): Red Sandalwood is useful in menstrual problems like excessive bleeding. It is also used in cure of digestive problems and fluid retention. It lowers blood pressure and effective in reducing blood sugar level. It reduces nausea and vomiting, cures dysentery. It is also used for blood purification. Davdar (Cedrus Deodara): Davdar is considered a divine tree in India. It has number of medicinal properties. Its heartwood is carminative, diaphoretic, diuretic and expectorant. It is used in the treatment of pulmonary and urinary disease, fever, flatulence, rheumatism, piles, kidney stone, insomnia, diabetic etc. Its leave’s oil is diaphoretic. Dhai/ Dhataki ( Woodfordia floribunda/ W.fruticosa): It is used as astringent, stimulant and tonic. It is used in leukorrhea, menorrhea, hemorrhoids, internal hemorrhage, herpes, diarrhea, dysentery, liver disorders, fever, ulcers and wounds. Rasna (Alpinia Officinarum): Rasna contains volatile oil, resin, oily pungent galangol, alpinol etc. Rasna has anti-inflammatory and antibacterial activity. It is used as an aromatic, stimulant and carminative. It is used in the treatment of rheumatism and catarrhal affections. Nag Keshar (Mesua Ferrea): Nag keshar has astringent, aphrodisiac, haemostatic, anti-inflammatory, analgesic properties etc. Nag kesar is mainly used in treating bleeding disorders like piles, menorrhea, hemorrhoids, metrrohagia, epistaxis etc. Nag Keshar also has digestant, anti poisonous, antimicrobial, antipretic and anthemintic activity. It is also used in fever, leprosy, skin disorders, erysipelas, excessive thirst and sweating etc. Adults: 2 to 3 Teaspoon full Trice a day or as directed by the physician.